Diecast Display Case Stand for 1/24 Scale. 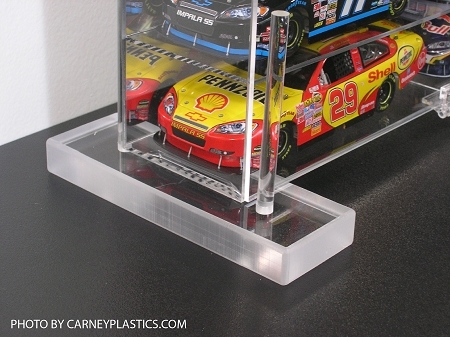 Turn our wall Diecast Display Cases into a Desk Top or Mantle Piece. Made from 1" solid clear acrylic, our new display case stands are a great way to show off your collection. 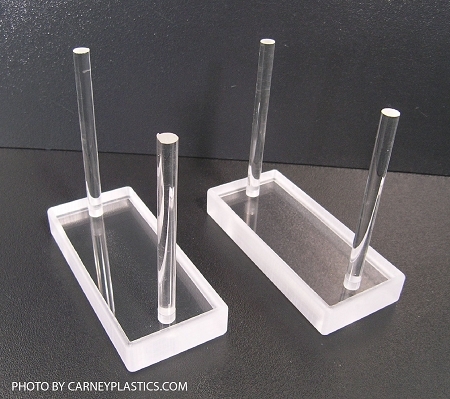 If no wall space is available, simply put these on a shelf and place your case between the two supplied acrylic rods. This will lift the case off of the surface so that the bottom hinge does not interfere with the case sitting flat.